Due to the number of games we receive for coverage in the Games Freezer, it’s sadly inevitable that some slip through the glaciers. In the Arctic Archive feature, we re-visit titles not covered upon their initial release to see how they fare down the line. There’s always an oddly sad shelf life to online games, especially ones that don’t sell well upon their initial release. If a game is pretty much purely online-only and the fanbase just isn’t there for whatever reason, games become obsolete sometimes weeks and even days after launch. Sent to us in 2017, Slashers: The Power Battle is now dead online (when I logged in there was just another single person available that I couldn’t connect to) leaving it’s offline prowess to be the selling point. A 2D weapon-based fighting game originally released on mobile platforms and ported to PC with a different control scheme (the single button special attacks, parries, reversals and combos on mobile replaced with a more traditional Street Fighter style approach) Slashers: The Power Battle hasn’t been updated since September 2018. 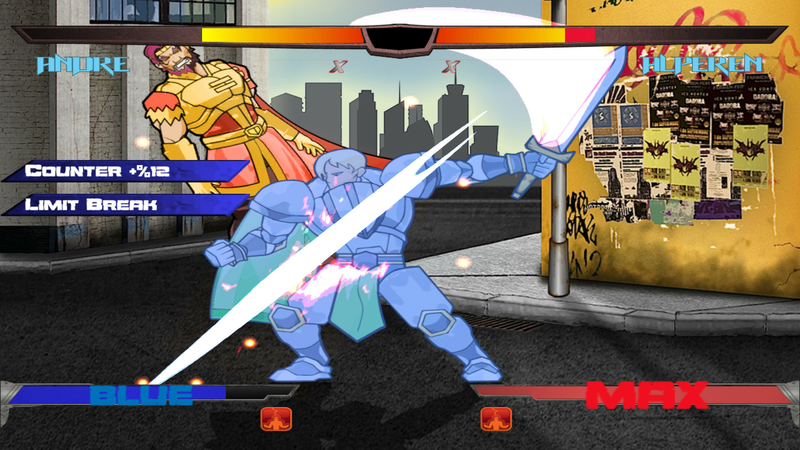 When I installed the game, there was a small selection of fighters available with some still greyed out in silhouette on the character selection screen, although there were several game modes on offer such as local vs, arcade modes and a boss fight mode. 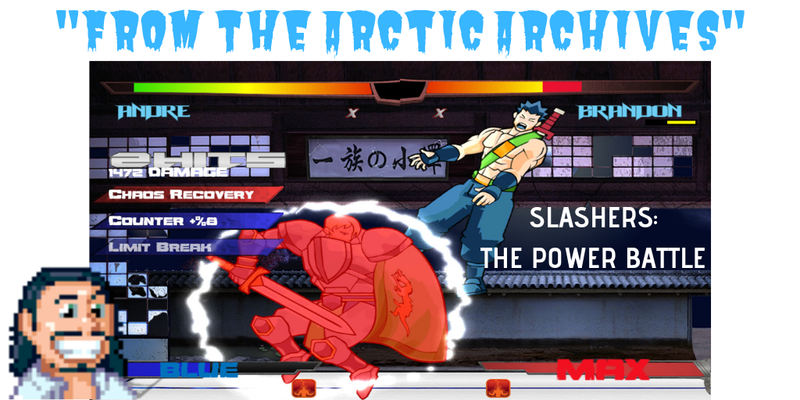 The game itself was responsive and had quite an in-depth control scheme including the aforementioned reversals, combos and power bars which allow a blistering attack to be unleashed upon it being filled. The cartoonish graphics looked fine but would clearly be more impressive on a smaller screen and the animation felt as if it could have been smoother but this wasn’t a dealbreaker. 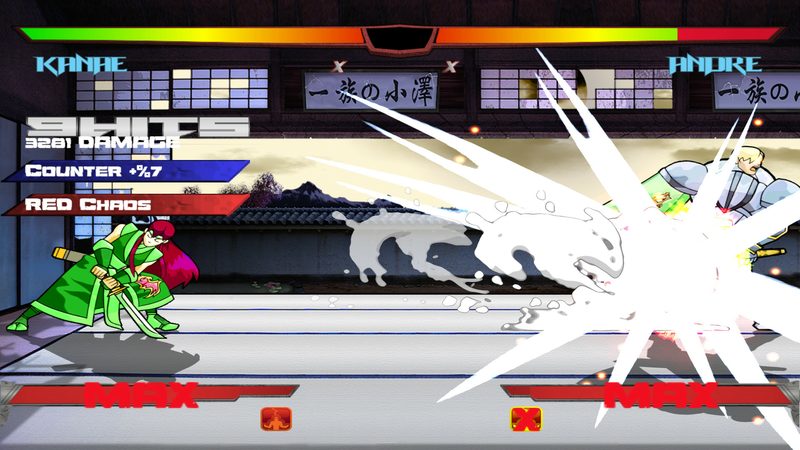 The bouts I was involved in seemed to go on for slightly longer than was necessary and the characters all felt reminiscent of people from other games, although, with the thousands available in fighting games over the last forty years, this was to be expected. It’s a decent enough romp, probably better in the two-player mode as all games are but the inability to connect with anyone online due to the lack of support really takes away any real meaning for playing the game. It feels early access in the clear gaps in the options, especially in the character department. In the end, this is a hard one to recommend as it feels almost abandoned in the current state it’s in, although it is clearly playable and fun. It's not dead or abandoned. To be intentionally vague, there's some background issues at the moment that are preventing timely updates to the public, which I suppose is the nature of the business for indie games. If you liked what you played so far, the game should reappear at a later date. Thanks for your support!